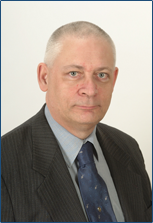 Allan is a tax accountant with over 30 years accounting and over 20 years taxation experience. A Dale Carnegie graduate, he has brought his passion for the education of small business owners to the many workshops, keynote addresses and seminars he has delivered since becoming self-employed. His ideas are the result of working with individuals, entrepreneurs and micro-business owners. He presents workshops and seminars to various Ontario based small business support organizations, and to fellow tax preparers. Allan Loiselle has been a professional tax preparer since 1988. He owned a practice in south west London, offering bookkeeping, accounting and tax services to individuals and small business owners. He is a life member and past president of The Association of Professional Accounting and Tax Consultants Inc., and a frequent presenter of accounting and tax workshops. He is currently a Senior Tax Consultant with AccuTax Financial Services Inc.
January 8, 2016 – Ottawa, ON - Introduction to Taxation, sponsored by Nunniyer Business Services Contact Beth Carhart at (613) 882-5102, or nuniyer@yahoo.ca for information and registration. January 16, 2016 – Kingsville, ON – Basic / Intermediate Tax Tune-up – sponsored by the Windsor Essex chapter of the Institute of Professional Bookkeepers of Canada Contact Bev Haggins at (519) 733-0380 or hbacct0380@gmail.com for information and registration. January 29, 2016 – Richmond Hill, ON – Basic / Intermediate Tax Tune-Up, sponsored by Piligrim Accounting Inc. Contact Elena Ivanova at (416) 514-1741 or piligimacc@gmail.com for information and registration. Available dates: February 4 or 5, 2016, February 12, 2016 or any Friday or Saturday after June 30, 2016. Useful information provided in a very entertaining way. Thanks Allan! It will open your eyes to the small, yet important, details that make a difference. Tune-Up – 2016 Edition © – For the 2016 tax season, this popular all day workshop focuses on an in depth discussion of investment income. We look at the difference between active and passive income, the risk / return / taxation relationship, and discuss in detail the taxation of interest, dividends and capital gains. We will cover what’s new for 2015, business income, including Capital Cost Allowance and Allowable workspace in Residence expense. As always, the workshop is a combination of visual presentation, class discussion and helpful exercises, all delivered in Allan’s easy to understand and occasionally humorous style. Workbook is included.